You mostly imagine and think of sticky popsicle fingers, soccer games, and family vacations. Every parent has daydreamed at one time or another what life will be like when their bundle of joy enters into the world before having children. Will they love horses like mom, or dislike cranberries like dad? One thing most parents don’t ever imagine is their kid becoming a criminal. No mom or dad ever wants to witness their child behind bars, but instead of playing on the monkey bars, some children will spend their lives behind jail bars. In the news, murder is a common discussion, but usually when murdered is talked about, the crimes you’re hearing are more than likely committed by adults. The world stops and panics anytime a kid is believed to have committed murder. Some will blame society as a whole, while others will go on to blame the parents. But the truth is, it will always be a very sad and tragic occurrence for anyone and everyone who is involved. The adolescent brain isn’t fully matured, and adolescents are known for being more prone to taking risks and impulsive behavior, but most wouldn’t ever even consider associating that with murder. People generally seem to know right from wrong at a certain age, but these children let their anger get the best of them and ended up behind jail bars because of it. 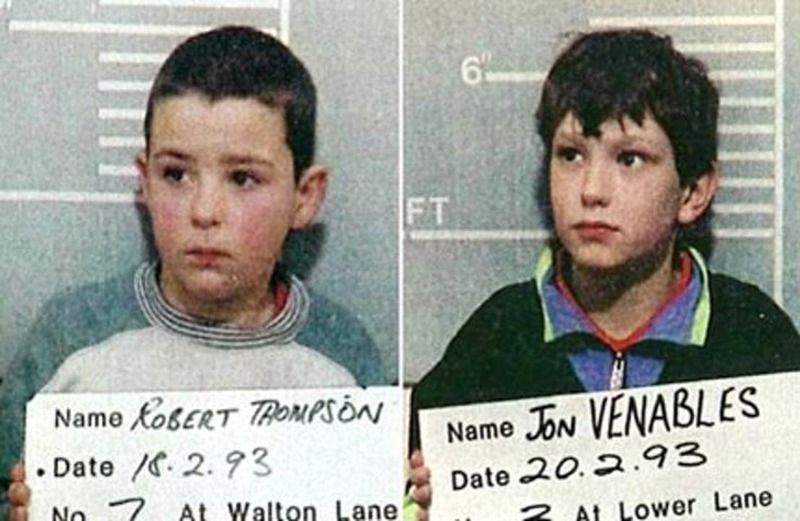 Here are 12 gruesome and horrendous crimes committed by children before they hit puberty. Let us know what you think and your opinion is! Two brothers from Edlington, one being 11 years old and the other 10, both attacked two other male children. The victims could’ve been seen having fun innocently on a playground, when the brothers were able to lure the boys away from playing, they started their brutal and vicious attack. The boys kicked, punched and robber the two children and according to The Guardian, beat them with “bricks, sticks and glass.” The boys even took it as far as using a cigarette to burn the poor kids. It had even been reported that one of the victims had been forced into performing s*xual acts. The two victims appears dead after being found due to the injuries being so severe. Ultimately, the brothers ended up being arrested, but showed zero signs of remorse after they did what they did, according to reports.